Trojan has now begun introducing the new RE Series, products optimized for renewable energy (RE) applications, such as solar / photovoltaic, small wind, and micro hydro. Trojan's RE Series features new DuraGrid technology and Maxguard XL separator designed specifically to deliver superior life and charge efficiency for renewable energy applications. 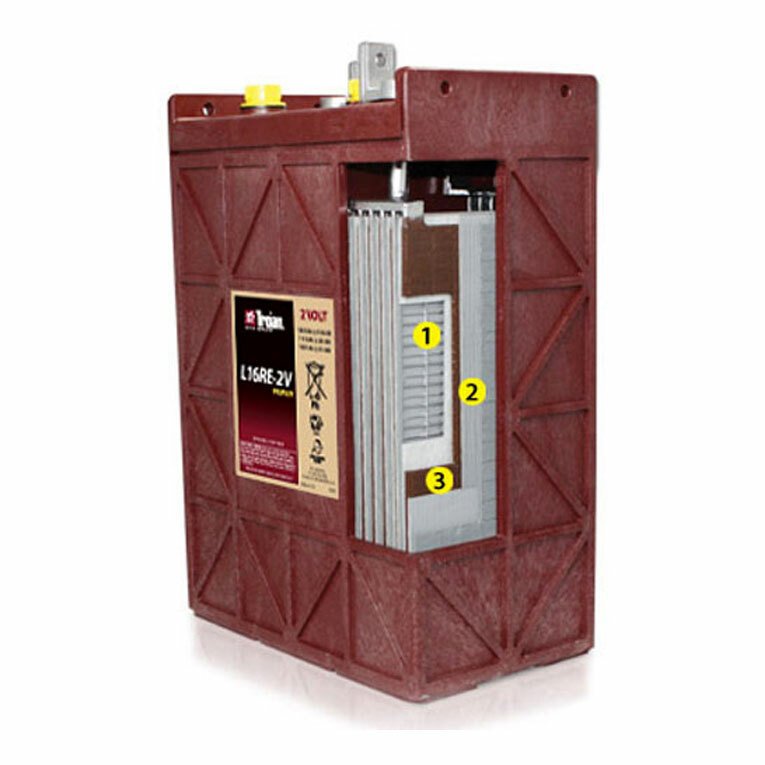 Need more than one Trojan L16RE-B Battery? We offer great discounts on quantity orders and FREE SHIPPING offers available. Need more Trojan L16RE-B_12? We offer great discounts on quantity orders and FREE SHIPPING offers are available.